Academic, cultural commentator and radio celebrity, David Daiches was also a passionate lover of Scotch whisky whose books on the subject continue to exert an influence to this day. Iain Russell recounts his life. 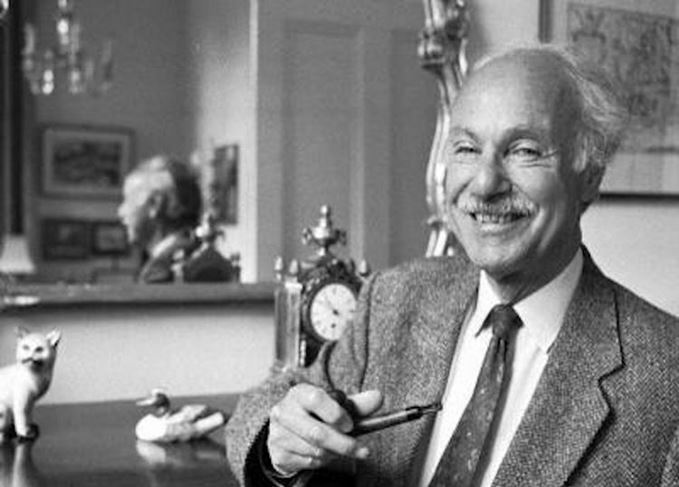 David Daiches (1912-2005) was a respected academic and commentator on cultural affairs. He was also a whisky aficionado and a crusader for the revival of single malt Scotch, whose book, Scotch Whisky: Its Past and Present (1969), is one of the earliest guides to the subject – and one of the most influential. Born in Sunderland, the son of a rabbi, Daiches moved to Edinburgh as a child. He excelled at school and university, and was made a Fellow of Balliol College, Oxford, in 1936. After working at the British Embassy in Washington during the Second World War, he became a university teacher and a prolific writer on the subjects of English and Scottish Literature and Literary History. Daiches became a Fellow of Jesus College, Cambridge, in 1957; the first Professor of English and Dean of the School of English Studies at Sussex University (1961-77), and Director of the Institute for Advanced Studies in the Humanities at Edinburgh University from 1980 until 1986. He was also a national celebrity as a panellist on the popular BBC radio programme The Brains Trust. In an age when blends ruled supreme, he emerged as a leader of that movement. Daiches told a feature writer from the Scotch Malt Whisky Society that it had been difficult at first to find single malts to sample, as whisky had been in short supply after the Second World War. In 1946, however, he discovered Glenmorangie on sale at Muirhead’s wine and spirits shop on Queen Street in Edinburgh. ‘I think I was the first to trumpet the virtues of Glenmorangie. When some years later I became a Fellow of Jesus College, Cambridge, I persuaded the college to buy Glenmorangie by the case from Muirhead's and it became a favourite of the Fellows. Glenmorangie was perhaps his first, but by no means his only favourite: he wrote of his love for, among others, The Glenlivet (he thought it best at 12 years old), Glen Grant (he originally preferred the ‘white’ version, from plain oak) and Laphroaig (‘perhaps the most distinctive of Scotch whiskies’). And he also drank Glenfarclas at Ithaca, as ‘it was the only Highland malt sold by the local liquor store’. Back in the UK during the 1960s, Daiches decided to write a book about whisky. He turned to his son Alan to provide the colour photographs he required to illustrate the processes and the ambience of typical distilleries. Alan lived in Tain then, and a close look reveals that he obtained most of his distillery photographs locally – the greater number are from nearby Glenmorangie and Balblair. During the 1960s, the leading whisky companies owed their success to blended Scotch. In general, they viewed those who campaigned for the bottling of single malts as irritants, cranks or eccentrics. Daiches, however, was an eminently reasonable man who worked from a central premise that ‘what you enjoy is best’. He derided the snobbery and the ‘rules’ which self-appointed experts attempted to impose on the less confident Scotch drinker, regarding what type of whisky was ‘best’, and how it should be drunk. But he had strong opinions of his own. He was not in favour of caramel colouring, and labelled the blenders’ arguments in favour of it as ‘rubbish’ and ‘nonsense’. And he could not understand the vogue at that time in the US for ‘light’ (he preferred the term bland) whiskies, which he thought to have been stripped of their Scotch character, becoming little different from vodka. Daiches suspected that those who drank whisky with ginger ale or lemonade might seek only to add an alcoholic kick to the soft drink, rather than enjoy the intriguing tastes and flavour of a good whisky. But he was happy to sing the praises of the ‘superior’ blended Scotches, and he especially enjoyed a good blend mixed with soda in a Highball. After the success of Scotch Whisky, Daiches wrote Let’s Collect Scotch Whisky (1981) and A Wee Dram: Drinking Scenes from Scottish Literature (1990). But it was the former that established his reputation as an éminence grise of Scotch whisky and which proved most influential.